Their mission at Front is to help people communicate better. Usually, it means building the best communication software possible, but today they are doing something different. 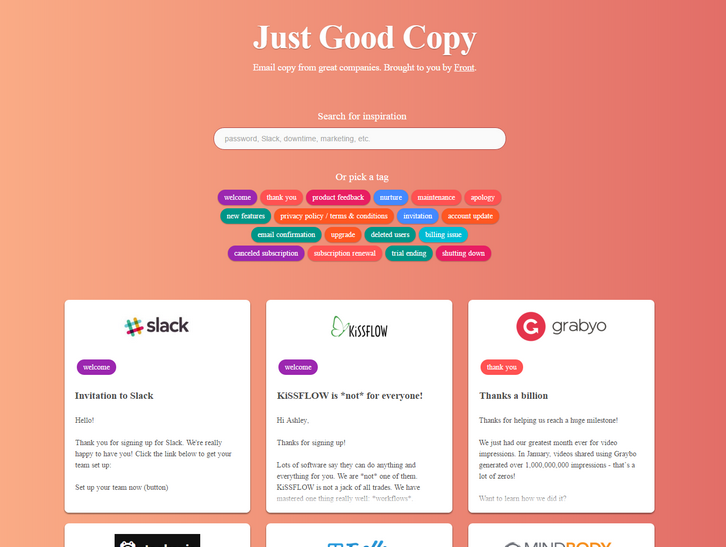 They are releasing a collection of emails that we think have great copy called Good Copy, so the everyone can get inspiration for their own communication. You never have too many examples. The approach is really focused on the copy, not the design of the emails.That’s why it’s plain text: easy to search, easy to copy and paste the content and adapt it to your own “style”!